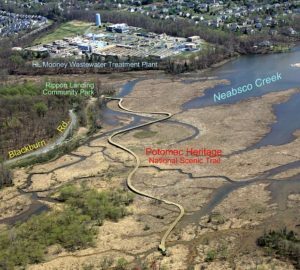 Join us in planning for trail work on National Public Lands Day, Sep 29; and planning for the Jefferson Park / Veterans Park / Marumsco Creek cleanup, on November 17. Saturday, September 29, 2018 is National Public Lands Day, and we’ll be working to improve the trail network at Doves Landing Park, a 230-acre undeveloped park in mid-county, bordered by streams on three sides. 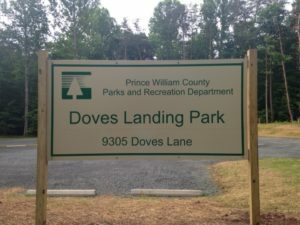 Come out and help with finishing a new trail segment and other maintenance projects. Please click here to register. Meet at the parking lot, 9305 Doves Lane, Manassas, VA 20112. Join us as we plan for upcoming events. 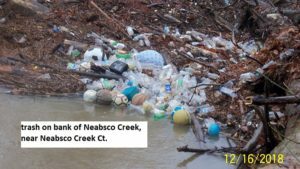 We’re planning another cleanup of Neabsco Creek and Neabsco Eagles Park on Saturday, March 2, 2019. Please click here to register. Partners for this event are the Woodbridge Potomac Communities Civic Association and the PW Soil & Water Conservation District. Meet at Neabsco Eagles Park, 15801 NEABSCO RD, WOODBRIDGE, VA 22191 Rain date is March 9, 2019. Contact secretary@pwtsc.org for more information.